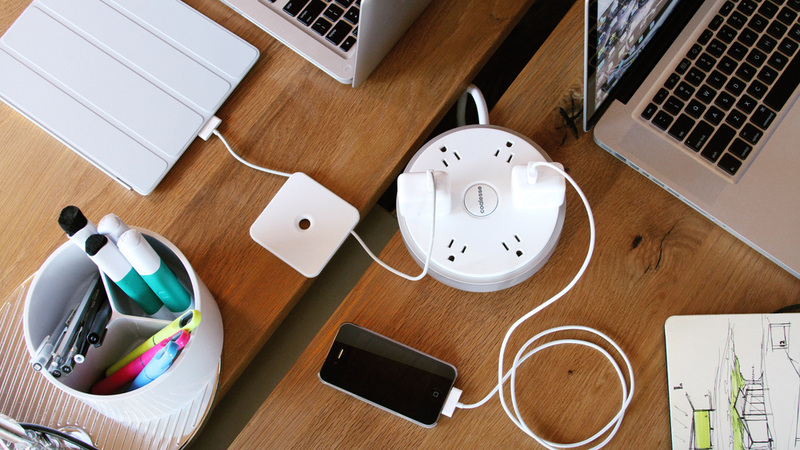 The PowerPod is an honest and refined solution for the powerstrip, intentionally designed for today’s mobile worker. Inspired by the surprising lack of smart and simple ways to access power in the workplace, the design is a byproduct of Scott Wilson + MINIMAL's SW_1 Collection for Coalesse. While designing the collection there was a need for a power solution that complemented today's mobile needs. On-the-go knowledge workers regularly need to charge their mobile devices, yet access to power is typically inconveniently located around the perimeter of the room, under the table or in a dark cramped hole.